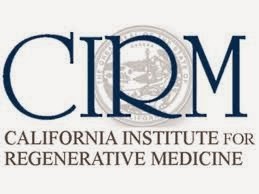 A team bringing together experts and investigators from seven different major California institutions has been awarded $40 million to create a new Center of Excellence in Stem Cell Genomics, by California’s stem cell agency, the California Institute for Regenerative Medicine. "This Center of Excellence in Stem Cell Genomics shows why we are considered one of the global leaders in stem cell research. Bringing together this team, to do this kind of work means we will be better able to understand how stem cells change as they grow and become different kinds of cells. That deeper knowledge, that you can only get through a genomic analysis of the cells, will help us develop better ways of using these cells to come up with new treatments for deadly diseases." said Alan Trounson, Ph.D., President of the stem cell agency. "These awards reflect the breadth of what we do at the stem cell agency. Funding the Center of Excellence in Stem Cell Genomics highlights our commitment to advancing the field with the most cutting edge approaches, and our Basic Biology awards show we remain committed to deepening our understanding of every aspect of stem cells. Only by this deeper understanding at the basic level can we hope to advance research at more advanced levels." said Jonathan Thomas, Ph.D., J.D., Chair of the governing Board. The meeting also saw the swearing in of two new Board members – Lauren Miller as the Patient Advocate for Alzheimer’s and Joe Panetta as the representative for the biotech industry.